You are here » The Obscure Cities » Gallery of Artwork » Single Images » Vivement Dimanche! Comments Part of a series of four images dedicated to Truffaut, the fourth image is designed by Schuiten. 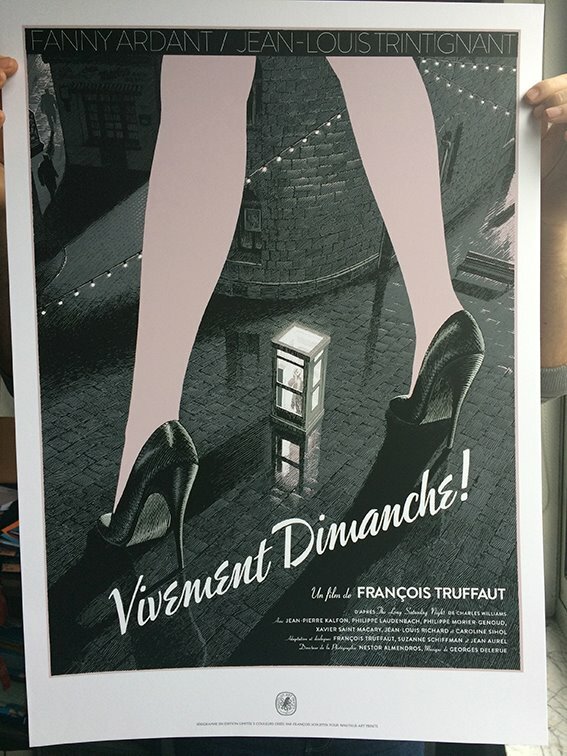 An edition for the Grand exposition about Truffaut at the Cinémathèque Française. Limited to 250 copies, all numbered. Between 25 en 50 are also signed by François Schuiten. The serigraphy is sold by Nautilus Art Prints for 40 euros 1). The signed versions are sold by Brüsel for 150 euros 2). The trailer of the movie.